Hindsight, the arbiter of wisdom, has decreed that engaging Grant Morrison to write the X-Men was a very astute decision indeed. 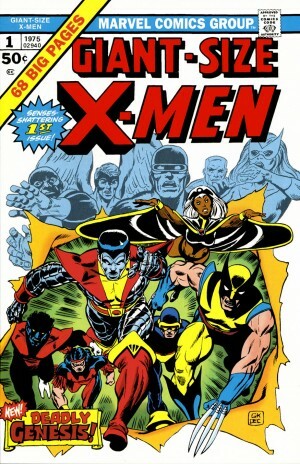 Not only did he provide several characters who’ve seen heavy use since, he reconstituted Emma Frost, and such is the standing of his efforts that this is now the fourth different book format in which his X-Men material has been re-issued. This oversize, weighty slab of a book contains all of it, and if you’ve always wondered if it lived up to almost universal acclaim, or if it stands the test of time, don’t be put off by the cost. Page for page it works out cheaper than any format yet. Morrison took a title that was creatively moribund and injected imagination, intelligence, wit and shock, yet rarely sacrificed readability. Working through the run a second time enhances its reputation, as all the small clues Morrison planted directed to the future are revealed, and actions of one character in particular can be reinterpreted. It’s also apparent that he set out to provide each story arc with an individual mood or style, so this isn’t just the superhero fight of the month. 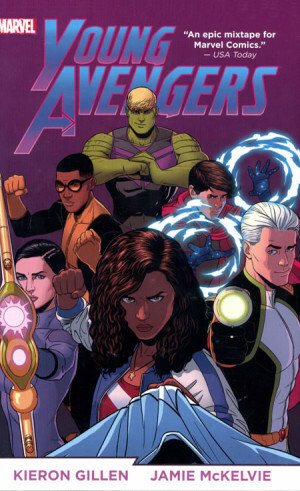 There’s still excitement, but conflict is more character-driven, and the only standard superhero slugfest occurs toward the end. Even then it’s not solved in the traditional fashion. There’s also some spectacular artwork here. It was originally intended that Frank Quitely’s thin line would define the run, but his producing a monthly title was never realistically on the agenda. His opening story is a thing of beauty, lovingly characterising the cast, his people populating lush jungles, clinical laboratories and inside a conceptual joined mind. Towards the end, Phil Jimenez enjoys the super-villain slambang, and John Paul Leon’s gloomy rendition of Chinatown is memorable. There are those who’ll relish Marc Silvestri’s return to the X-Men, and his desolate dystopian future is well rendered, his people not so cultured. 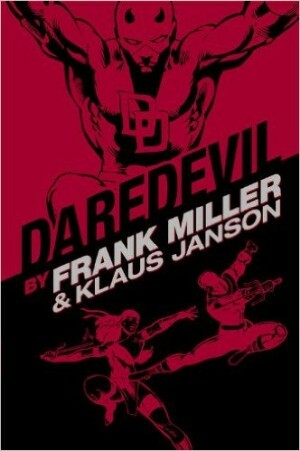 Chris Bachalo’s stylised cartooning meshes with an action thrill ride echoing a first person video game, while Ethan Van Sciver is also effective. Artistically, it’s only really Igor Kordey’s work that lets the side down. He’s not poor, but there’s no room to breathe in his layouts. 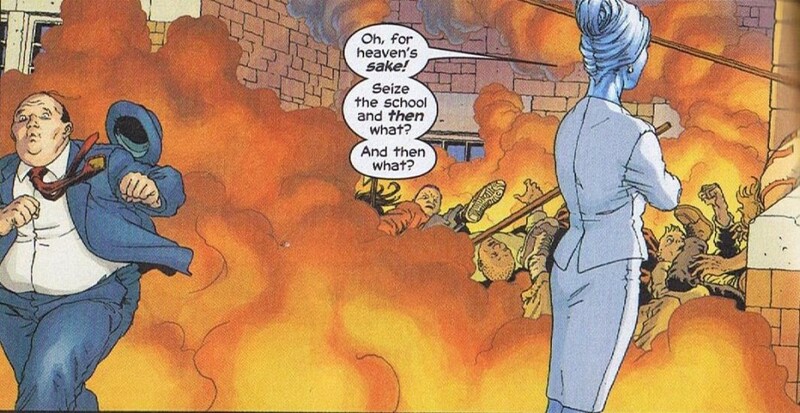 “If I’ve learned anything at the Xavier institute it’s that a good cause always gives meaning to a bad death,” utters one character toward the end of the run. 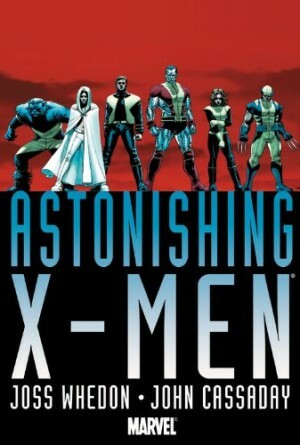 It’s both poignant and cynical in context, as the dynamics of the X-Men are changed by the time Morrison concludes. He’s given, but he’s also taken away, and much of what he instituted remains in place today. Everything is very clever, but taking chances means accepting the occasional failure, and it would be false to claim the entire content works. Most of it does, though, and those who fear failure are doomed to recycle the mediocrity Morrison temporarily replaced. 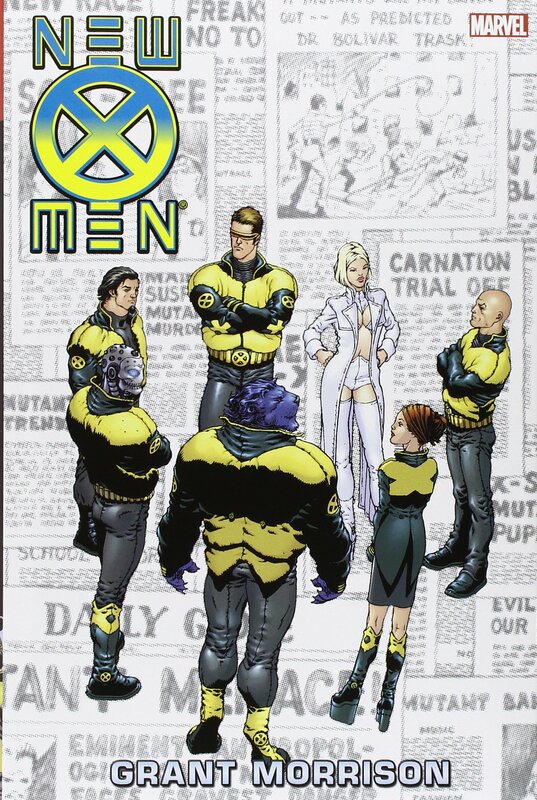 If you’d prefer not to make such a considerable financial investment in a single purchase, try one of the three chunky paperbacks titled New X-Men by Grant Morrison Ultimate Collection or one of the eight digest books. Individually the standard paperback reprints are titled E is for Extinction, Imperial, New Worlds, Riot at Xavier’s, Assault on Weapon Plus, Planet X and Here Comes Tomorrow.